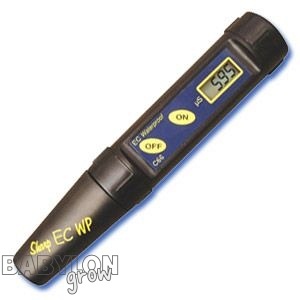 The C66 is a conductivity IP65 waterproof tester, specifically designed for the hydroponics and Agricultural markets, with automatic temperature compensation and 1 point manual calibration. The tester has a range of 0.00 to 10.00 mS/cm. The C66 has a replaceable electrode and is supplied in a casing with calibration solution sachets (M10031) and screwdriver for calibration. The modular design allows easy electrode and battery replacement.